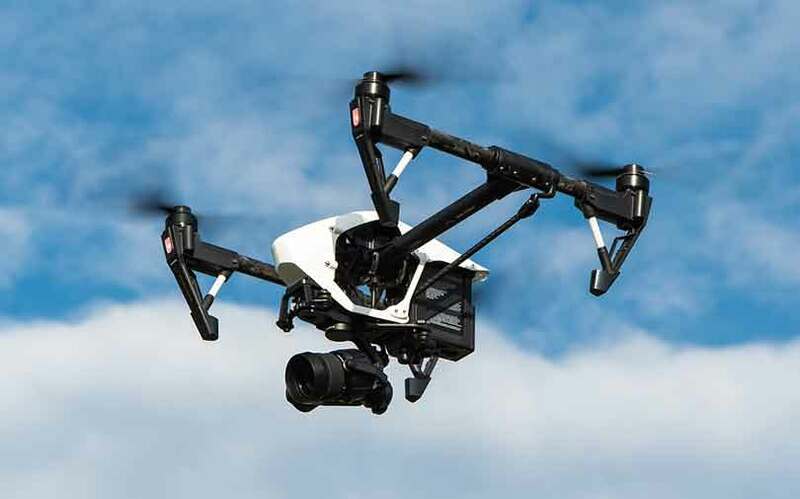 The new Drone Regulations 1.0 unveiled by civil aviation minister Suresh Prabhu on Monday has brought relief for Indian drone manufacturers as the machines can now be commercially and legally used across the country. The regulations have categorised drones in terms of weight starting with ‘nano’ which is less than 250 grams. All drones are required to obtain registration and unique identification numbers (UIN). The rules are also expected to curb the import of drones manufactured outside India which do not comply with the requirements for transponder and SIM-based tracking. While the provisions are similar to the draft policy, seeking permission for daily flight plans and installing transponders for location tracking have been points of concern for the manufacturers. “As manufacturers of drones in India we will be making two key changes—one will be able to add automatic dependent surveillance-broadcast (ADS-B) transponders for transmission of position to the air traffic controller. The other is geo-tracking through a SIM card, which will be used in the event of a crash. Addition of the ADSB component, which is manufactured outside India, is likely to push up the cost of manufacturing by 40%,” said John Livingstone, founder and chief executive of aerospace firm Johnnette Technologies. ADSB transponders determine the position of an aircraft via satellites and also tracks its location. Livingstone added that the ‘no permission, no takeoff’ clause in the regulations will be automated through application programming interface or API code in the firmware of the drone, similar to a digital lock which will allow the drone to fly only after the mandatory permissions are met. All drones are required to obtain a UIN through the Digital Sky app, which issues the number in two days. “Implementing Digital Sky as a single window channel and ‘No Permission, No Takeoff’ as a compliance will lay down the foundation for a more complex set of applications like logistics and drone taxis in India,” said Vipul Singh, CEO of Aarav Unmanned Systems, in a statement. Apart from the drones, the pilot and the operating company are also required to have registrations based on the norms laid down in the regulations, said Aakash Sinha, CEO of industrial drone company Omnipresent Robot Tech. “The current regulations have increased client confidence in the drone technology. However, a blanket permission to operate drones for a fixed period instead of sharing a daily flight plan can facilitate the business,” said Sinha. The company’s emergency drones deliver blood to rural state hospitals in Andhra Pradesh. The Directorate General of Civil Aviation had released a draft regulation paper on drones in 2016 and had introduced a new draft policy in November 2017. The current rules will come into effect from 1 December 2018 as the drone manufacturers have been given a deadline to comply with the requirements. The global drone market is expected to grow to $127 billion by 2020, according to a study by consulting firm PricewaterhouseCoopers.